Need Service? Call Our Hotline! As a member of TowBoatUS, you get access to a wealth of features at a minimal cost associated with these services. To review the BoatU.S. ON-WATER TOWING SERVICE AGREEMENT Click for Details. One Membership applies to ALL recreational boats you own, borrow or charter anywhere in the world! 100% payment for soft ungroundings, up to the towing service level you selected. 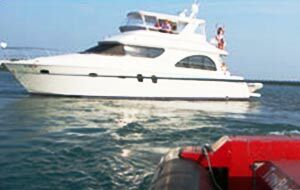 Salvage and salvage ungroundings are provided for by a Marine Insurance Yacht Policy. Damark Marine Towing has a signed contract with BoatUS to provide a standard of service to its Members that is second to none. 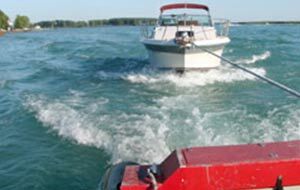 We have all applicable USCG Towing endorsements, complete insurance coverage, licenses and standards and practices are reviewed on an annual basis.